Visit the T.W. 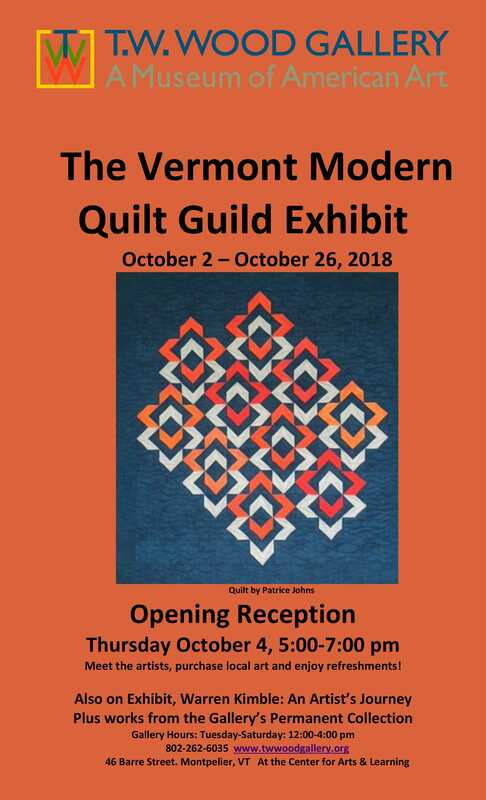 Wood Gallery: A Museum of American Art for an exhibition of VTMQG’s latest and greatest during the month of October. Meet the artists at the Opening Reception Thursday, October 4th 5:00-7:00p. See you there!